Fourth-generation vigneron Fabien Coche took over his family’s domaine in 2005. 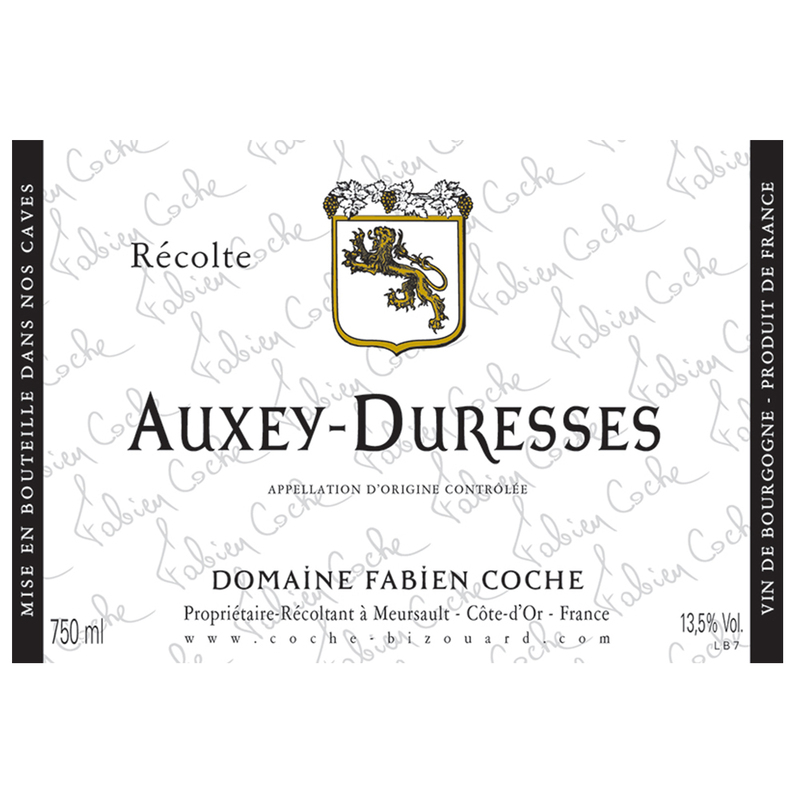 Hailing from Burgundian royalty (Coche-Dury was part of the same domaine until 1940 and is run by his cousin Raphael), Fabien has quickly become the Coche of the current generation making the most waves. His enviable vineyard holdings total approximately 25 acres spread across Meursault, Pommard, St Aubin and Puligny-Montrachet.